Russell J. " 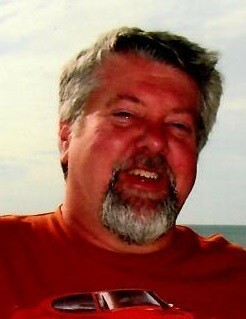 R.J" Cornell Jr.
Age 63 of Millport, NY. Born December 5, 1954 to the late Russell J. Cornell Sr. and Lila (Bailey) of Delaware, Russell passed away very unexpectedly and went home to be with our Lord Heavenly Father on June 12, 2018. He is survived by his loving wife of 43 years, Gale Cornell, and their 5 children; Daniel (Becky), Jason (Alisha), Jennifer (Mike), Christina (Nick), and Joshua (Alisha); 16 grandchildren, 2 brothers, Jeff and Mike; his sister Virginia; along with several nieces and nephews and many dear friends. R.J. took pride in providing for his family. His work allowed him to travel all over, including to Florida and Alaska; he enjoyed many people through his work, most which became friends over the years. He loved fast cars and his Harley’s. Always smiling and laughing, he brought joy to everyone, especially with his delicious cooking. Russell was truly a great father and mentor to so many. His family wishes to extend their thanks and gratitude to all friends, old and new, who have visited and supported Russ and his family is this time of need. In keeping with R.J.’s wishes, there will be no public services. Condolences may be left at www.barberfuneralhome.com or sent to his family by P.O. Box 83, Millport, NY 14864.